The Tajik leadership faces an urgent choice between fully embracing reform and continuing on its current failed track. Tajikistan’s decision will have very real implications for this troubled region. Tajikistan teeters on the brink of failure. This mountainous and landlocked country, the poorest in Central Asia, struggles with corruption and its citizens lack a number of basic freedoms. These domestic challenges become even more problematic as international forces prepare to withdraw from neighboring Afghanistan, leaving the Central Asian countries to ensure regional stability. 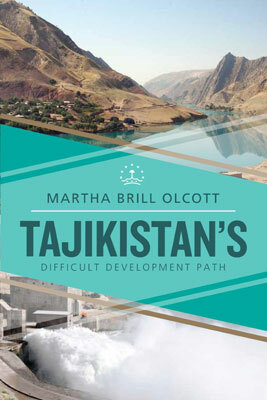 In Tajikistan’s Difficult Development Path, Martha Brill Olcott traces the political, economic, and social change following the country’s independence and international efforts to prevent a collapse of the state. The Tajik government’s commitment to reform has been limited at best, and substantial foreign assistance provided since the end of the country’s civil war has not led to real economic and political development. Olcott concludes that the Tajik leadership faces an urgent choice between fully embracing reform and continuing on its current failed track. Tajikistan’s decision will have very real implications for this troubled region. Tajikistan need a real development plan , but it 's not a Tajik trouble only, it must be regard in the whole context of Central Asia and Shanghai Treaty . The ethnics troubles, and, the bad fate in has a natural resources very dear added to a lack of social basic capital that this rich raw material without a productive structure may be exploded by foreigners enterprises, the authoritarian regime and their inmediate consequence a very corrupted bureaucracy 're obstacles for a genuine formation and accumulation of capital . Hence underdevelopment and poverty 're endemic in this country. But if countries signatories of Shanghai Convenant help through join ventures or working for an equal regional development the situation in middle and long term could be change for good.The vicious circle will turn in a virtuous circle.